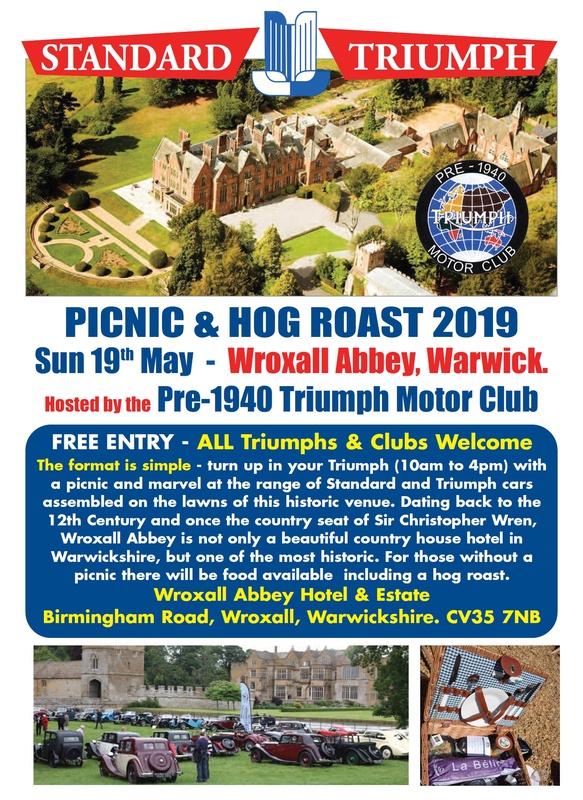 The Triumph Picnic and Hog Roast. Wroxall Abbey Hotel Near Warwick (CV35 7NB). Martin’s inaugural great idea to gather all Triumph Clubs together for a picnic was a huge success and greatly enjoyed by all who came. To say that it was our event, the attendance was, at least, disappointing! Hopefully, we can do better in 2019 and show both our lovely cars and our splendid Club to other fans of the marque.